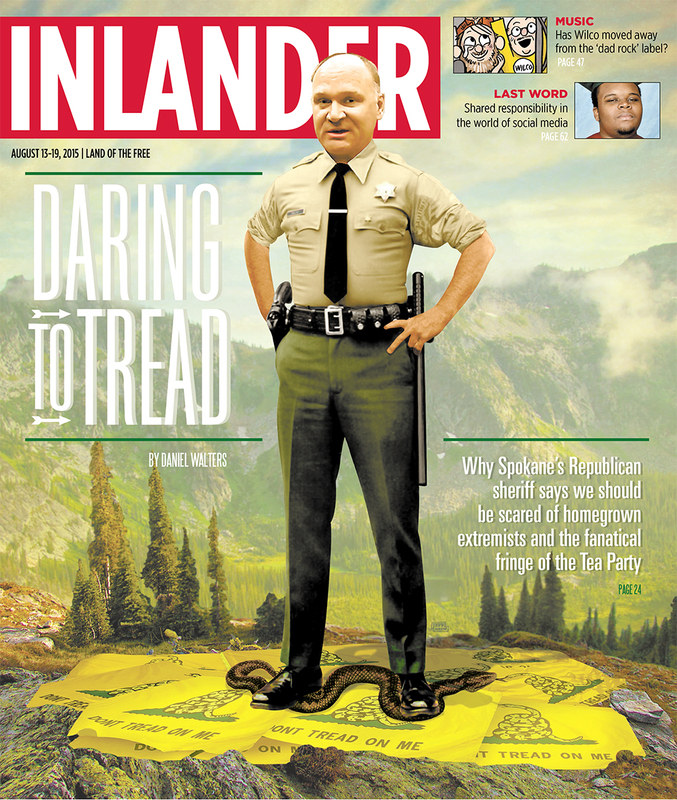 In an article featured in the August 2015 edition of the Inlander, the Washington state sheriff draws comparisons to the ISIS terrorist group while railing against everyone from Infowars’ Alex Jones to Washington State Rep. Matthew Shea. Knezovich’s statement refers to exclusive footage released by Infowars last December which highlighted unsettling comments made by a Spokane sheriff’s deputy as he stood next to the department’s mine-resistant ambush protected military vehicle (MRAP). After a local resident approached and questioned law enforcement’s need for military hardware, the deputy immediately used “constitutionalists” with “firearms” as justification. The video brought about an immediate backlash after receiving nationwide attention, causing Knezovich to accuse Infowars of “hatemongering” and taking the deputy’s comments out of context. “Instead of apologizing for the comments made by his deputy, Sheriff Knezovich essentially blamed Infowars for daring to report on the issue, claiming that the quote was taken out of context while failing to explain how such a brazen statement could be taken for anything other than its face value,” noted Infowars’ Paul Joseph Watson at the time. Speaking with Infowars, Rep. Shea expressed outrage at Knezovich’s latest comments and also the article’s analysis on a local pastor. The sheriff pointed to the Bundy Ranch as well, accusing supporters of looking for a “trigger” to take on the government. A vocal supporter of the Southern Poverty Law Center, an organization that similarly and falsely links law-abiding Americans to domestic extremism, Knezovich states that such groups are breeding a generation of Americans who distrust their government.